The Gujarat Police Department is the law enforcement agency for the state of Gujarat in India. The Gujarat Police has its headquarters in Gandhinagar, the state capital. The Gujarat Police Department came into existence after Gujarat's separation from the Greater Mumbai state on 1 May 1960. 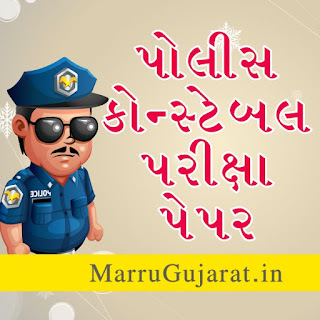 The Gujarat Police Department is headed by Director General of Police (DGP-V.J DESAI). It has four Commissioners' offices : Ahmedabad, Vadodara, Rajkot and Surat. There are seven ranges in the Gujarat Police: Ahmedabad, Surat, Gandhinagar, Vadodara, Rajkot, Junagadh, and border Range. For police administration the state is further divided into 33 police districts and Western Railway Police.